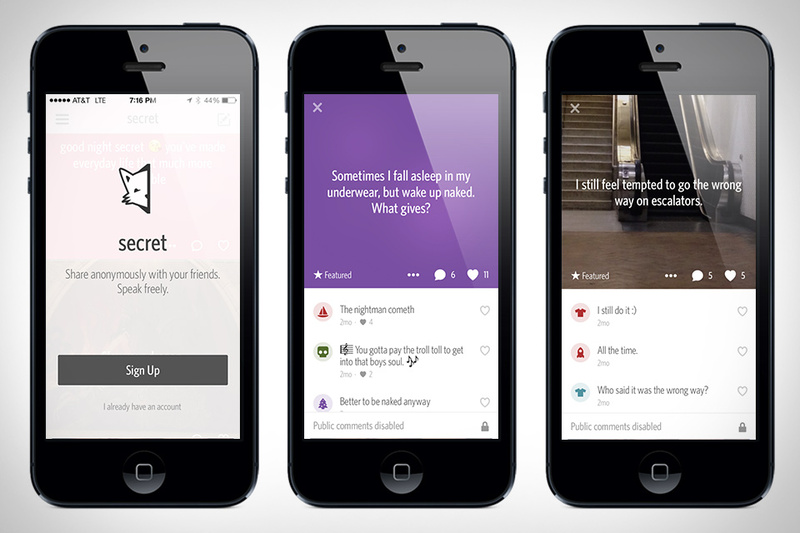 The anonymous-messaging app Secret has reached a value of $100 million. This makes it one of the fastest startups to reach a nine-figure valuation. Secret was founded a mere nine months ago in San Francisco, and since then has made waves in social networking. The app allows users to post anonymous messages to a messaging board, and has recently updated itself to allow users to connect with Facebook and share with friends without revealing their identities. “Facebook Login has been our top requested feature, for good reason,” the Secret team said in a recent blog post. Posting things anonymously has begun to grow in popularity, and Secret is the perfect indicator of the growth. Only four months ago, the company was valued at around $40 million by investors. Now, however, it is valued at a cool $100 million after recently raising $25 million from a group of investors led by Index Ventures. In comparison, another anonymous-messaging app, Whisper, took over a year to reach $100 million. Founded in 2012, Whisper is now valued at around $200 million. Secret is available on both Android and iOS devices.